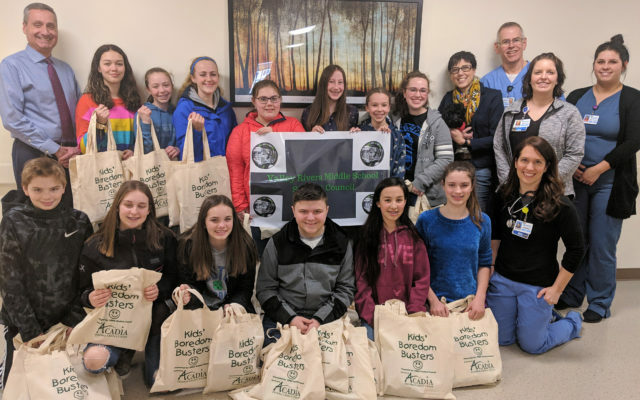 Last November, the student council of Valley Rivers Middle School began a yearlong project to bring cheer to children who are hospitalized, and recently the group visited Northern Maine Medical Center to present the fruits of their work. 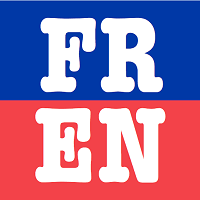 FORT KENT, Maine — Last November, the student council of Valley Rivers Middle School began a yearlong project to bring cheer to children who are hospitalized, and recently the group visited Northern Maine Medical Center to present the fruits of their work. The project, called Boredom Busters, was founded in honor of Sasha Burakow, the original Boredom Buster, in Boston, Mass. According to the Boston Medical Center, “A happy child has a better chance of being a healthy child.” When children go to the hospital, they are not feeling well and are often frightened by unfamiliar faces and surroundings. But friendly faces and diversionary activities, such as those in Boredom Buster bags, often help make the child’s hospital stay a more positive experience. The VRMS student council, along with adviser Kara Beal, completed their goal of filling 100 bags to replenish the depleted supply of activity bags for hospitalized children. Each Boredom Buster Bag contains activities, books, comforting toys, healthy snacks and engaging games to help pass the time while in the hospital. On Tuesday, April 2, the council presented the filled bags to Northern Maine Medical Center. “This is the best project we do all year long. I love that we are helping sick children, helping to make their hospital stay just a bit better,” stated student Tia Saucier. The activities have a calming and distracting effect on the children, which allows the doctor and nurses to do what they need to medically on the child without fuss. Additionally, the bags support the parents, who can now focus on their child’s health instead of thinking of ways to entertain them. “This year, Valley Rivers Middle School is grateful for the support we are receiving from the Acadia Federal Credit Union to help defer the costs of the bags used with this project,” Beal stated. To brighten a hospitalized child’s day, and to make a donation, whether monetary or goods, contact Beal at VRMS, (207) 834-3456.